Blah! Blah! It’s scary. 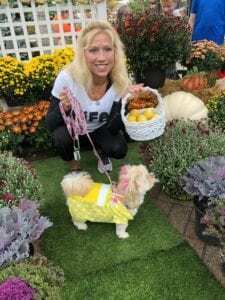 And you’re not alone, as more than 4.2 million dog-owning households and nearly two million cat-caretakers will be treating their furry companions to ghoulish goodies and grisly toys this Halloween, according to the National Retail Federation (NRF). Also, according to the NRF, pet “moms” and “dads” will spend over $440 million on Halloween. That’s about double how much pet owners spend in 2010 when NRF first began to ask about pet costumes. Twenty years ago few Halloween pet costumes weren’t even available at retail stores. 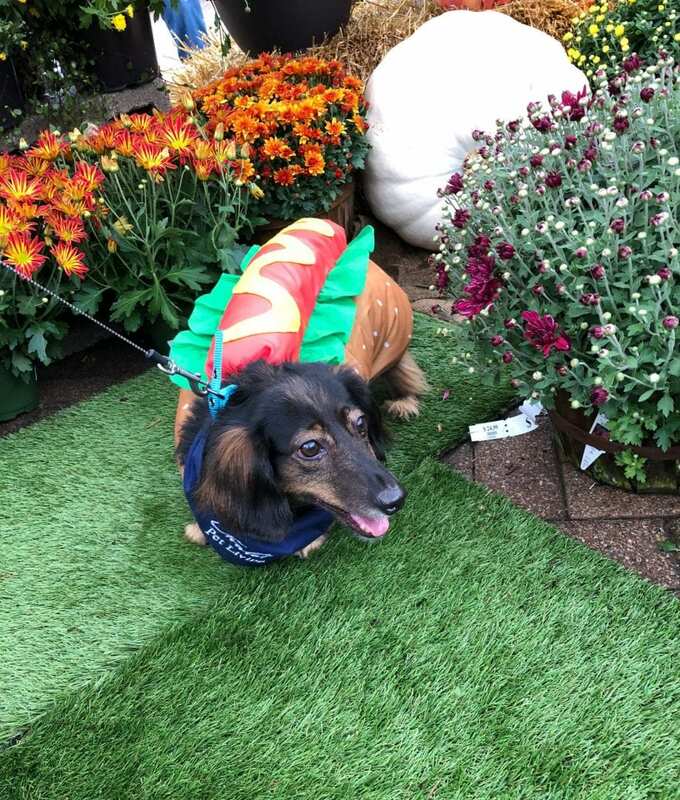 Today, Petco and PetSmart each carry over 100 Halloween pet costumes, mostly for dogs but also cats, and even Guinea pigs and ferrets can get into the Halloween spirit. The costume trends, in general, match what kids want. Though it’s unclear if pets really “want” these costumes in particular or want any costumes for that matter. 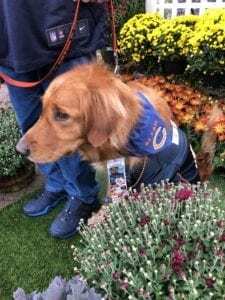 “Superheroes are especially popular for pets and so is anything with a Star Wars theme,” says Gabby Roderer, pet living manager at the Chalet, Wilmette, IL. Sometimes pet caretakers have a devil of a time convincing the pet to wear the costume. 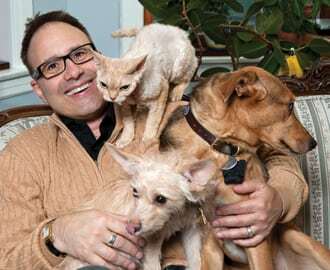 Fear Free is all about allowing pets to make choices, so they are less likely to be anxious. Having said that, some pet you can train using positive reinforcement to tolerate or even to enjoy wearing a costume. Don’t’ put on the costume all at once, instead slowly get your pet acclimated to it, and pair the experience with wonderful treats. Once you put on the costume, offer a meal so the pet associates wearing the costume with something very good about to happen. After several tries, most post learn quickly enough that wearing the costume means it’s food time! Insure all costumes are roomy enough for comfort, but not so roomy that the pet will slip out of it. And pets should never wear masks. With praise and some patience, many pets will soon readjust their attitudes and tolerate the costumes. And some actually enjoy it when family members dote on them, telling that Bulldog how gorgeous she looks dressed as a ballerina. However, other individuals, no matter what you do, just aren’t going to be convinced that wearing a costume is a good idea. They may even look humiliated, perhaps because they are. 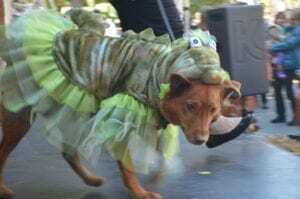 For those animals, the best hope is that you can return the costume for your money back. It’s unfair to continue pushing the issue, instead try a compromise. 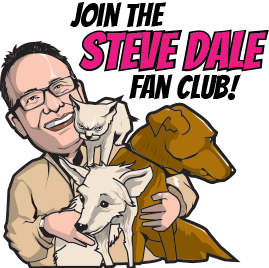 A part of the national Fear Free initiative is to minimize chronic fear, anxiety and stress or absolutely unnecessary stress in your pets’ lives. 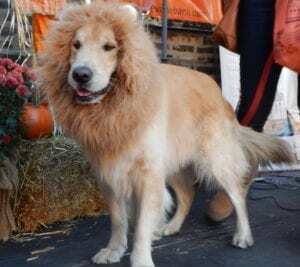 Even some pets who love wearing Halloween pet costumes indoors, may not be happy about joining the entire neighborhood of screeching children trick ‘or treating. Pay attention to what your dog is telling you. It’s perfectly acceptable to take pictures of your dog in-costume, but then leaving him at home. Keep your dog on a leash. A retractable leash is not recommended because trick or treaters can trip over. Check what’s in the pet’s trick or treat bag. Just as with children, be skeptical of anything not packaged. Also, just like children, too many treats all at once can cause an upset tummy. A you stroll through the neighborhood with your dog in costume – be respectful of people who may be afraid of dogs.